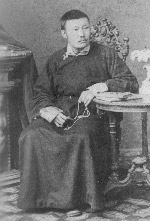 Emchi SulTim-Badma, Dr. Alexander Badmaev studied at Aga Monastery, Ulan Ude, Buryatia in the early 1800's. In Tibetan medicine, botanical formulas are often combined with mineral ingredients and are referred to as condensed foods, primarily oriented to treat digestive disorders and only then correcting specific health conditions. Botanical treatments are designed to balance the system through nutritional pathways by matching the remedy's elements to the disturbed elements prevent well-being. The properly functioning digestive tract transforms the botanical treatment into elemental nutrients to return body, mind, and spirit to a sustained state of health. 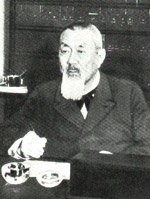 Due to successes with untreatable at that time diseases such as infectious diseases, the influence of the Tibetan Pharmacy spread rapidly in St. Petersburg, and Alexander's younger brother, Dr. Peter Badmaev Sr. (Zhamsaran-Badma), became personal physician to the Russian Czar, Nicholas II. Soon Dr. Vladimir Badmaev, Sr. (Jamyan-Badma), who trained in both Tibetan and Western medicine, joined his uncles in St. Petersburg. When the Bolshevik Revolution forced his move to Poland, he opened a very successful medical practice and Warsaw's only Tibetan Pharmacy. He continued the translation of Tibetan medicine principles and passed them on to his son, Peter. In 1965, Vladimir, Sr.'s son, Dr. Peter Badmaev Jr., emigrated from Communist Poland to Switzerland. He eventually emigrated to America and established a medical practice in New York. 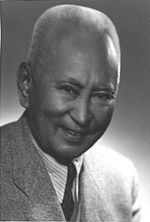 He was later joined in the United States by his son, Dr. Vladimir Badmaev Jr., who, in 1985, established Badmaev Natural Drug Foundation and in early 2000s American Medical Holdings Inc. to facilitate promotion of Tibetan concepts of health care and to facilitate the production of formulas based on the longstanding Dr. Badmaev Tradition. Vladimir is an award-winning physician, researcher, and author. His lifelong goal is bringing Tibetan medicine formulas to the West.